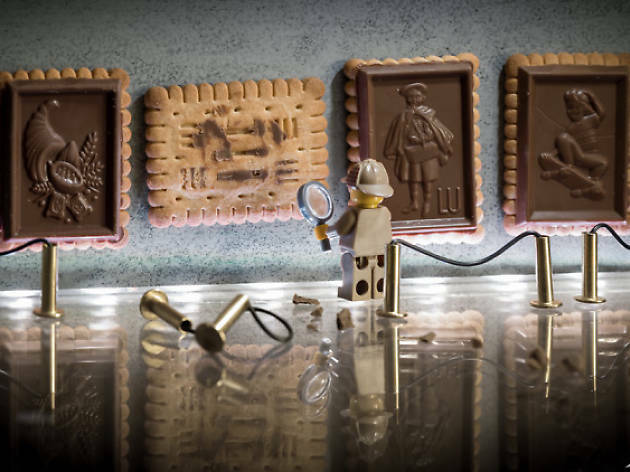 Rediscover the kid in you with the Lyonnais artist’s quirky Lego scenes. At the age of 30, the Lyonnais artist Samsofy (real name Sofiane Samlal) is still young at heart. The proof: he’s still playing with Lego, arranging the little yellow figurines in whimsical scenes filled with poetry and humour. 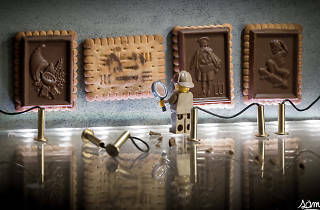 With his photographs of a little Indiana Jones trying to solve the ‘mystery of the missing chocolate’ and a petite painter producing a masterpiece out of a pat of butter, Samsofy invites you into a fantastical and original world. Every little scene mixes photographic and street art techniques to tell an authentic, if comically absurd, story, one that takes you back to the fun parts of childhood. Each photo is suffused with this idealistic vision of being young, as if childish innocence and fun was the artist’s Instagram filter of choice. The exhibition is on at the Bar à Bulles, located in the upstairs room of La Machine du Moulin Rouge, throughout the month of February.